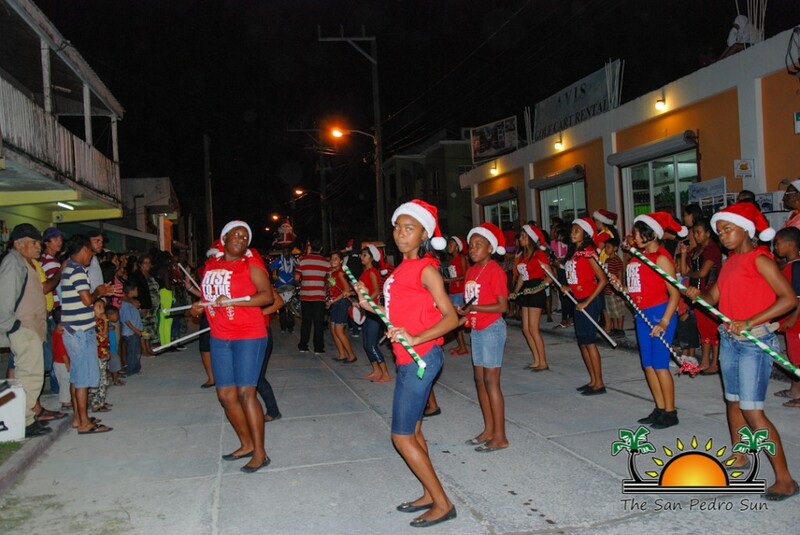 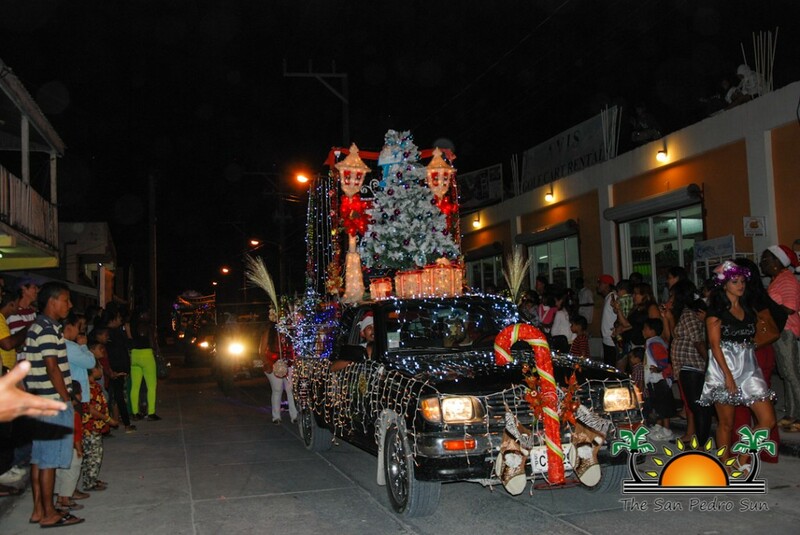 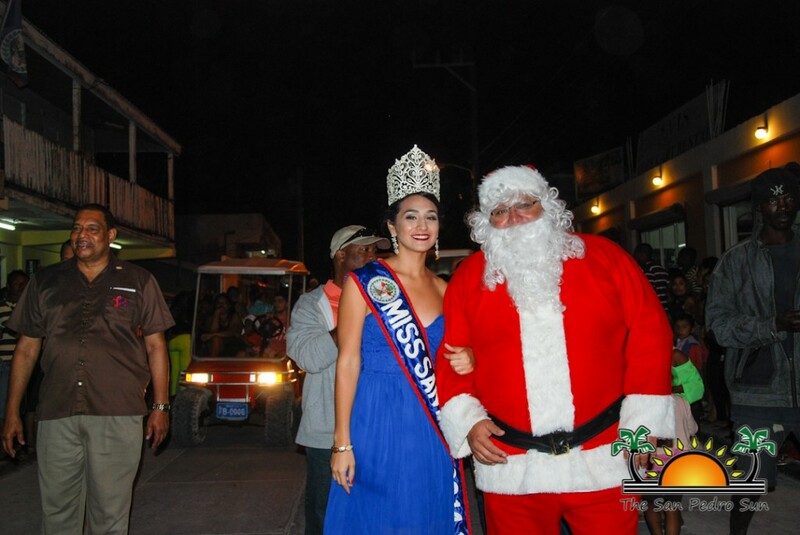 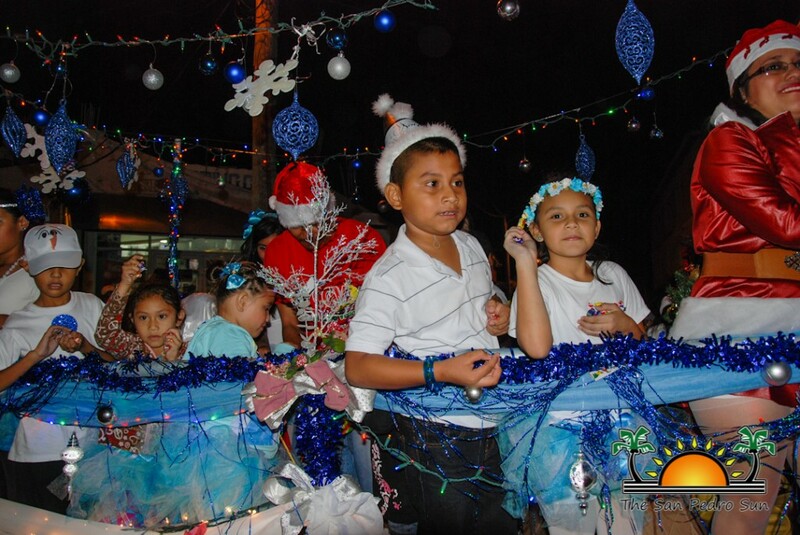 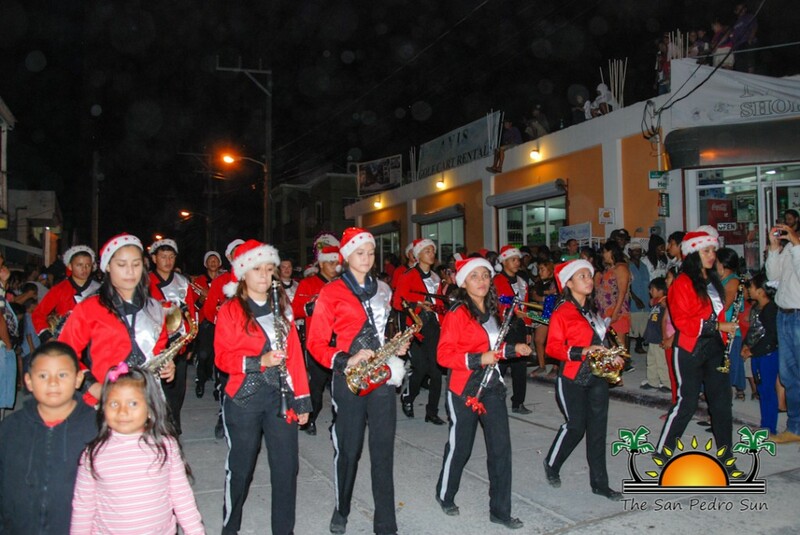 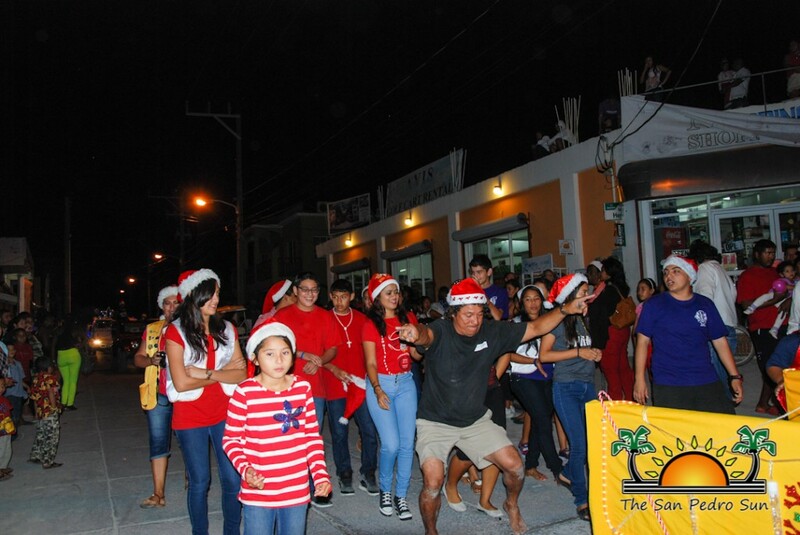 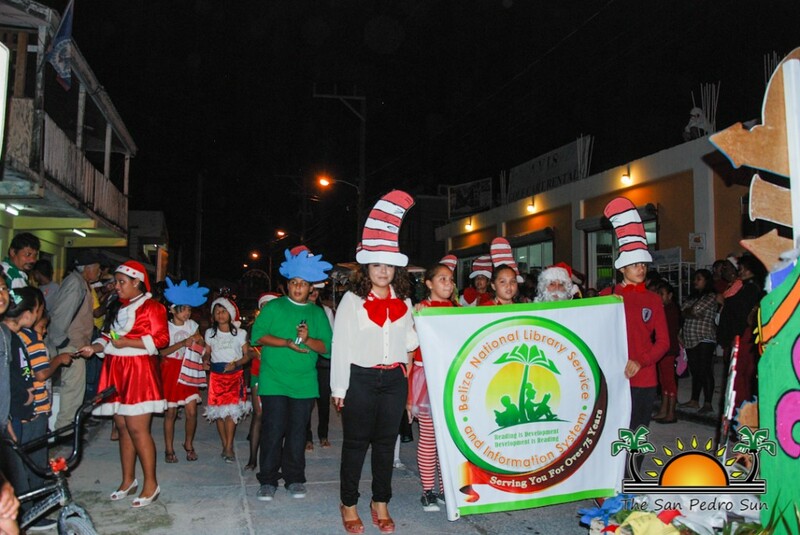 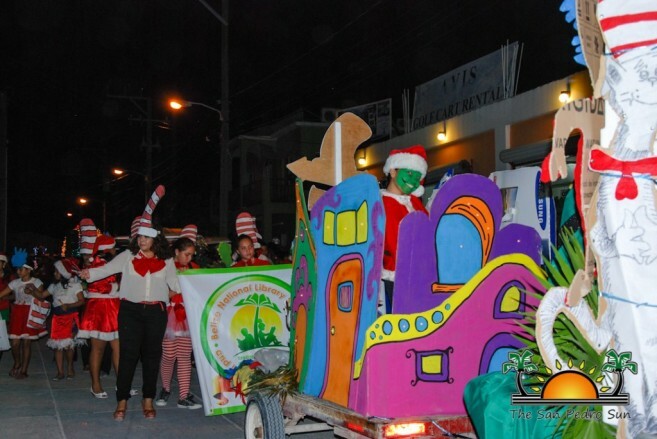 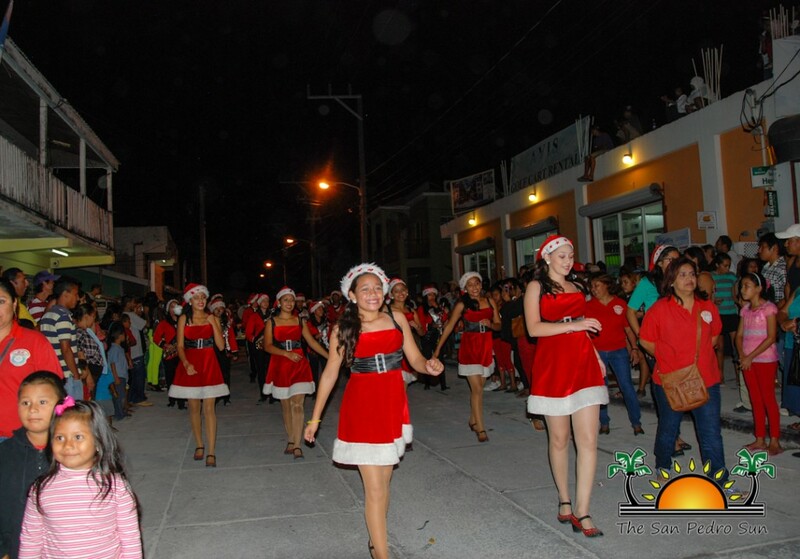 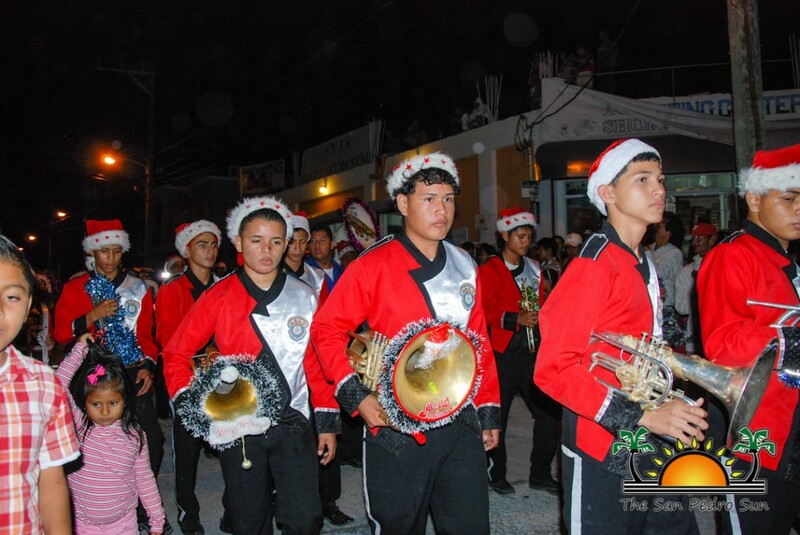 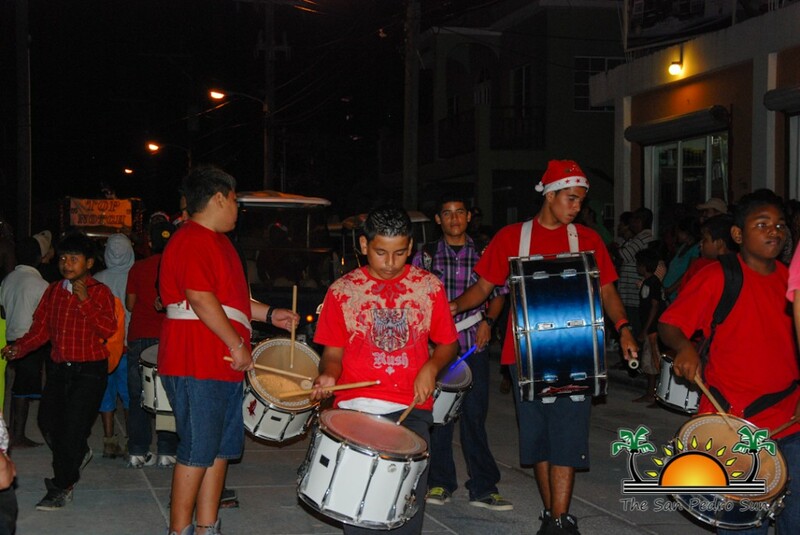 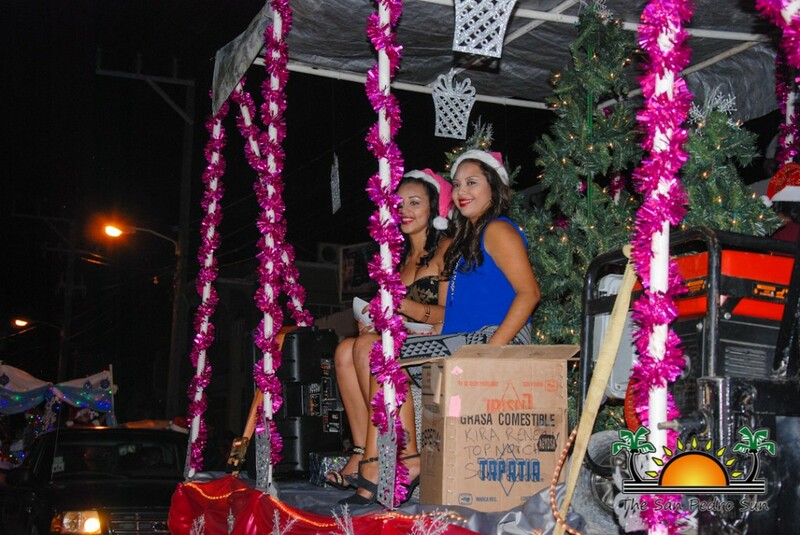 The fourth annual Love FM Christmas parade brought color, music and joy to San Pedro on Sunday, December 14th. 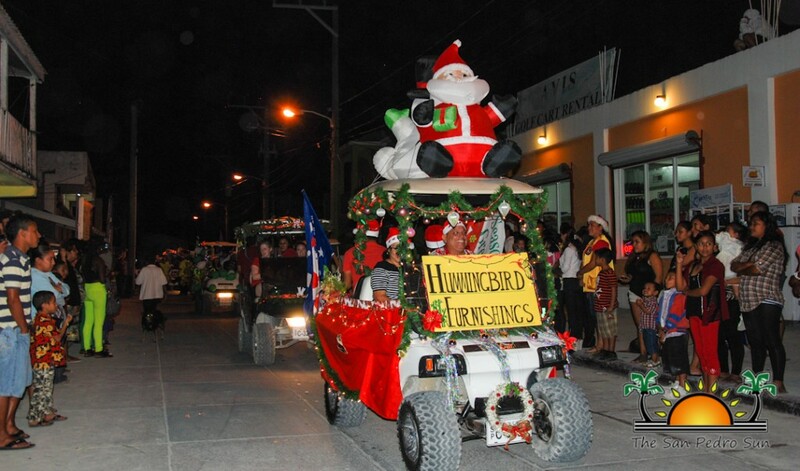 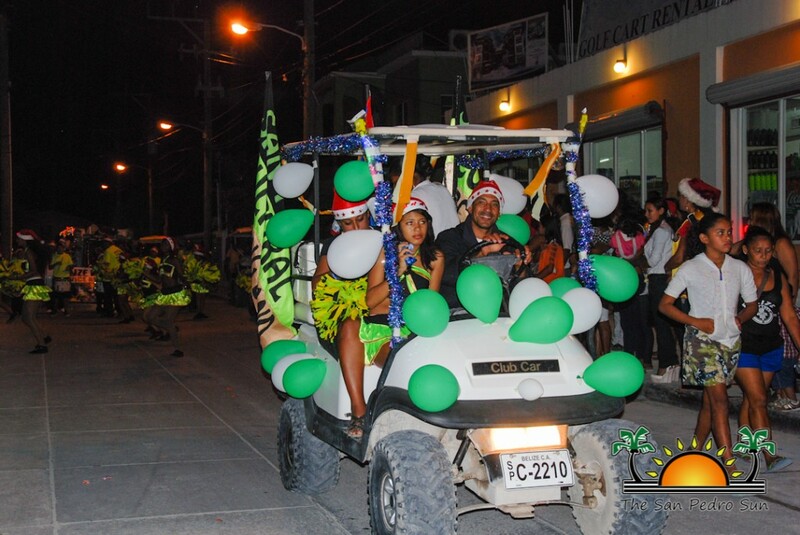 This year’s parade was even bigger and better, with more brightly lit floats and sparkling golf carts. 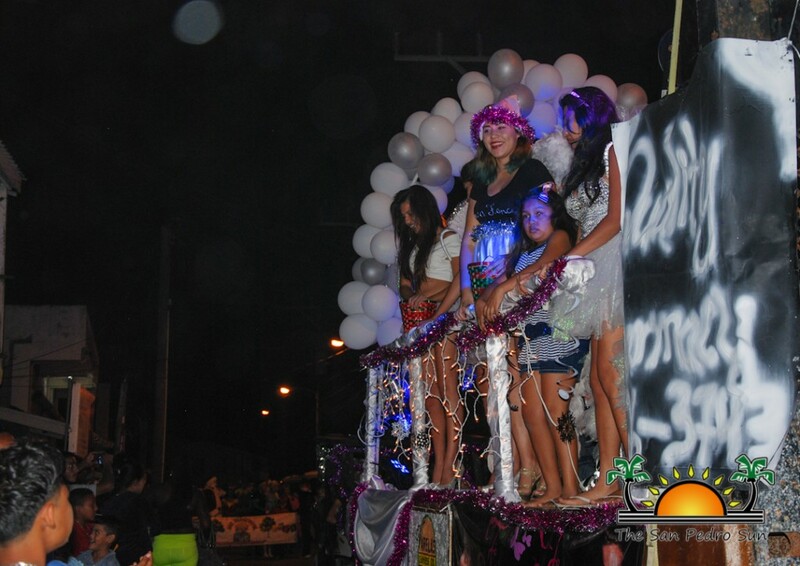 Residents flocked the streets on the parade routes from early to get a prime viewing spot of the gaily decorated lineup. 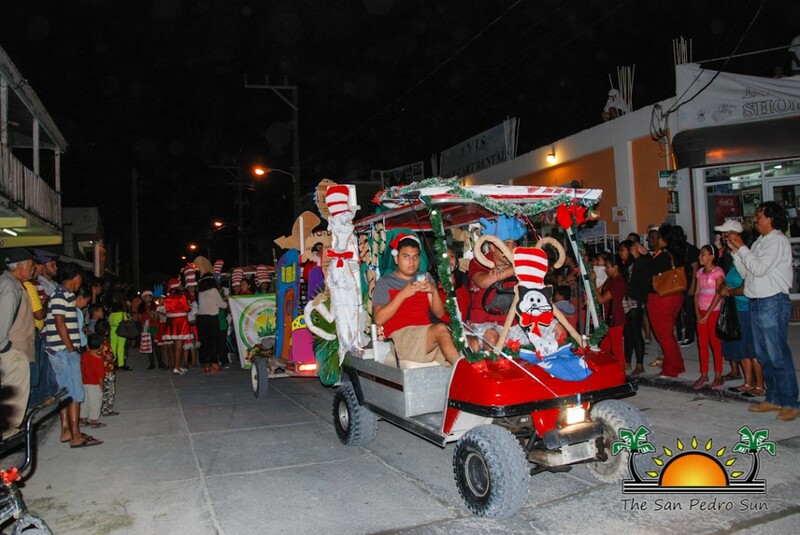 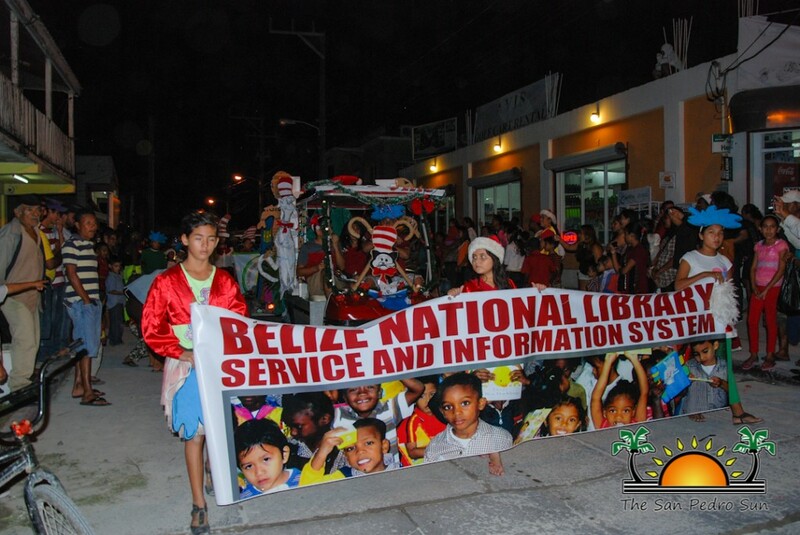 The parade started shortly before 7PM from the Boca del Rio Park and made its way to Buccaneer Street. 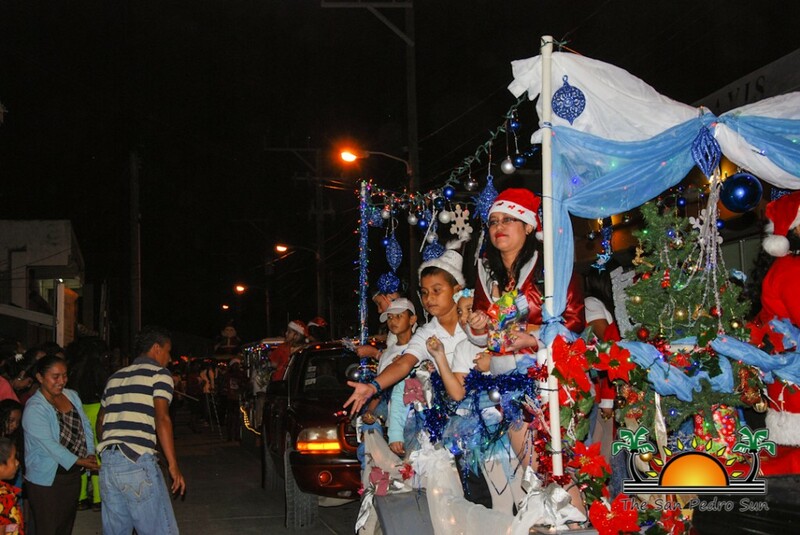 With Christmas carols jamming away, spectators cheered as the floats passed on by. 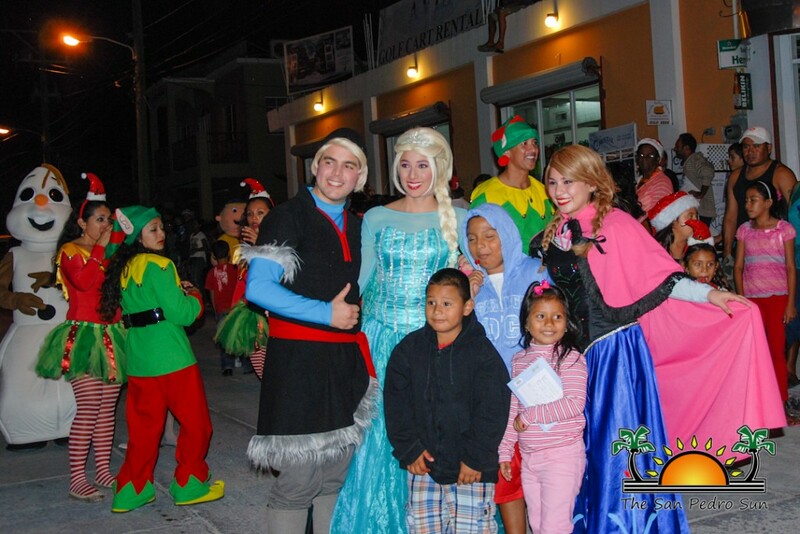 In the spirit of giving, several establishments shared treats with the children, and they even had a chance to take a picture with the beloved characters of Disney’s Frozen: Princess Anna, Queen Elsa, Kristoff, Prince Hans and Olaf. 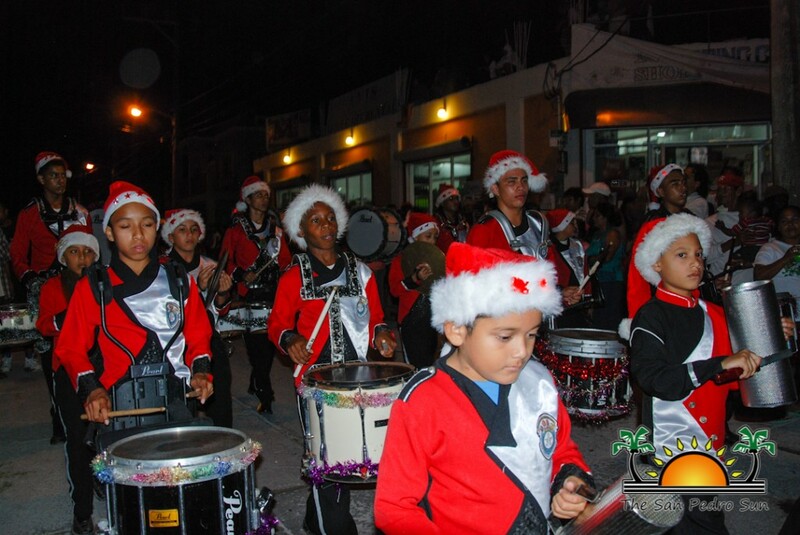 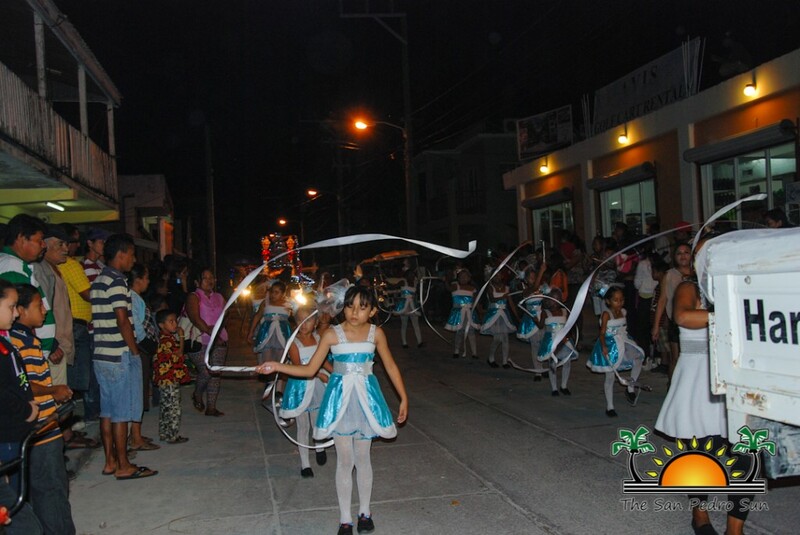 The highlight of the parade was the Benque Viejo Marching Band, who delighted the crowds with their amazing renditions of Christmas songs with their full ensemble of horns, drums and dancers. 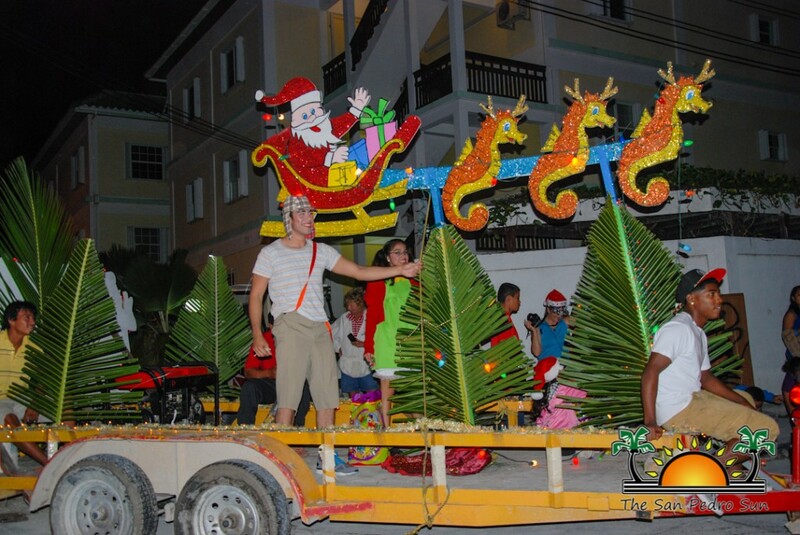 Join us in celebrating the annual Lighted Boat Parade!